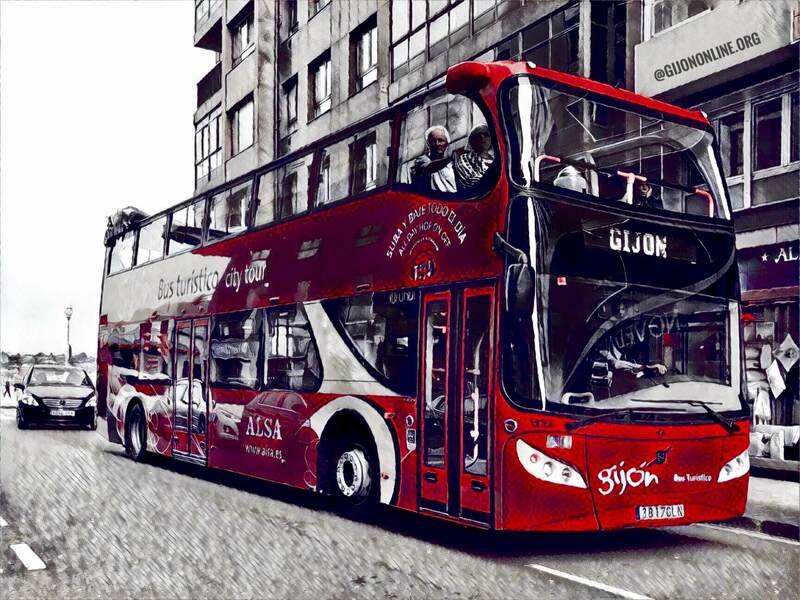 The Gijon City Tour Bus (Bus Turístico Gijón) is hop on/hop off touristic bus running daily from 26th June to 9th September 2018. The city tour bus is available from 10:00 to 15:00 and 16:00 to 22:00. The start point for the tour is the bus stop Fomentin near the InfoGijon Tourist Information Office at the Gijon Marina. The circuit goes through 20 stops covering the main touristic attractions such as Railway Museum, Aquarium, Poniente Beach, Celestino Solar Citadel, San Lorenzo Beach, Isabel La Católica Park, Molinon Football Stadium, Laboral City of Culture, Museo Pueblu D’Asturies, FeriAsturias and more. A great opportunity to enjoy the city of Gijon from the comfort of a double deck bus. The price range from € 5.5 to €16. More information at InfoGijon web page.